And just like that the “mini-blip” was over. The Stek and Jagielka were out due to MS failing a fitness and Jagielka playing like a cabbage for a fortnight. Robles and Funes-Mori were the replacements. The first half was described by the arl fella next to me, as “possibly the worst half of football I’ve ever seen”. Difficult really to argue too much. West Ham started much the brighter, the mohican sporting imp that is Payet was seemingly everywhere. Ogbonna also should have done much better and we were let off the hook once more. Although the closest either side came to a goal was a fantastic tip over by the oblong headed galoot that is Adrian from a deflected Barkley shot. Everton seemingly woke up after half time, with Bolasie and Barkley actually realising that West Ham are last and starting to go at them. Bolasie after being called all the names under the sun by yer da, then does what he does best by setting up the “Slayer of all things Brexit” through sheer graft..Adrian could parried Coleman’s effort out and Bolasie was on hand to dig the ball across to Rom, who headed home. Barkley was really beginning to take the game to them, and put the game beyond the bubble blowing beauts by playing a 50 yard 1-2 with Lukaku before a lovely left foot low finish. Jagielka and Cleverley then came on and both did well before Lennon was brought on to add some extra legs on the break. 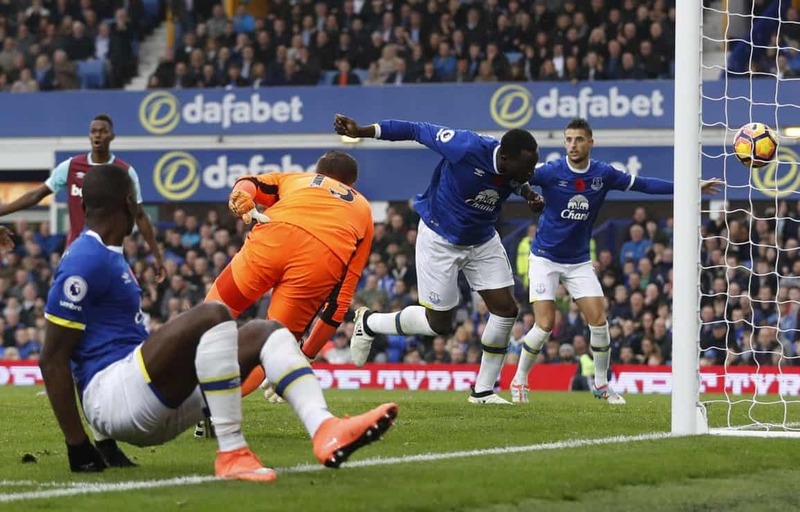 A welcome win at what was seemingly a hungover Goodison today. Special mention must go to Bolasie thinking he was playing joga bonito and getting it all wrong, Ashley Williams doing his best to play Antonio in, yer da with the megaphone trying to wake people up, West Ham fans singing sign on…….. Finally anytime we beat Mark Noble is a good day in my book. We’ll face more difficult games, and we’re nowhere near the finished article. But unbeaten at home, 5 points off the top, 6th, 2nd best defence in the league. Things could be much worse.